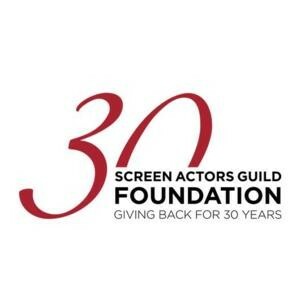 The Screen Actors Guild Foundation, celebrating 30 years of giving back, announced its 6th Annual Los Angeles Golf Classic to be held Monday, June 8th at an exclusive golf club in Burbank, California. The SAG Foundation L.A. Golf Classic is a tournament where celebrity golfers and entertainment industry executives raise money for the nonprofit’s Catastrophic Health Fund and Emergency Assistance programs, which benefit SAG-AFTRA professionals and their families in times of need. Scott Wolf (Perception, Party of Five) and Brendan Fehr (Roswell, CSI: Miami), who both currently star in NBC’s The Night Shift, serve as hosts for the annual the fundraiser. Additional celebrity participants include Andy Garcia, Dennis Haysbert, Joe Pesci, Michael Peña, Sam Page, Jeffrey Donovan, Gabriel Aubry, Gregory Harrison, James Remar, David Leisure, Debbie Dunning, Eric Close, Kurt Fuller, Mark Moses, and more. The host committee of the 6th Annual L.A. Golf Classic includes Matt Adler, Scott Bakula, Tom Bower, Jim Casey, Mathis Dunn, Patrick Fabian, Robert French, Carmine Giovinazzo, Mark Paul Gosselaar, Mitch Haber, Robert Hays, Dave Hutton, Greg Itzin, Richard Karn, Brandt Kuhn, Dan Lauria, Joe Mantegna, Ron Perlman, Kevin Rahm, Chris Rich, Erin Scott, Jonathan St. Clair, and David White. Integrated Wealth Management returns for its fifth year as presenting sponsor of the SAG Foundation L.A. Golf Classic with United Airlines establishing its first year as the official airline sponsor of the event. Additional sponsors to date include: Carson Foundation, CBS, Anthem Blue Cross, SAG-AFTRA, One America, Omnicom, United Airlines, ABC, David Townsend, TNT, George Clooney, Express Scripts, Ron Perlman’s Wing & A Prayer Productions, Amazon, Chris Rich, Richard Riordan, Fairway & Greene, Sketchers, and Club Glove. Since 1985, the SAG Foundation has granted more than $17 million in financial and medical assistance including $6 million in scholarships to SAG-AFTRA members and their dependents. In addition, the Foundation has offered 4800 free educational workshops, panels and screenings to union performers nationwide and its children’s literacy programs have brought the love of reading to more than 65 million children worldwide. The SAG Foundation L.A. Golf Classic is one of the biggest celebrity golf tournaments in the world with at least 125 actors and entertainment industry executives expected to participate in the 2015 event. To learn more and for registration information and sponsorship packages (limited while availability remains) visit sagfoundation.org/golf.